On July 24, 1933, a special gift was given to this world. And on October 16, 2018, that gift was returned to heaven. 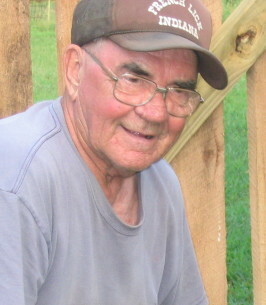 James Ray Greer, husband of Marjorie, father to Elaine and her husband Barry, returned to his Maker after a long illness. He was a humble and kind man who always wore a smile and was a friend to everyone he met. James was born in Jamestown, Tennessee and was raised in Indiana where he lived until he enlisted in the Air Force in 1953. His 20 year military career took him to many places including Korea and Japan and he was an honorable and faithful servant. After retiring from the Air Force he began a second career in Springfield, where he worked another 20 years at SRC. He married his beloved wife of 65 years and together they had one daughter, Elaine, their only child. They had three wonderful grandchildren; James Barry Woosley, his wife Heather; Pamela Elaine Sandvig, her husband Kyle; and John Daniel Woosley, and his wife Brandi. James adored each of his great grandchildren, Kaylee and Matthew Sandvig, Anna and Ian Woosley, and Miller and Ciara Woosley. He was preceded in death by his parents, Walter and Curtis Greer and 7 siblings. One brother, Roger, survives. James was most content at home where he loved working in his shop making beautiful furniture and sharing time with his dogs. His family was his greatest joy, and his friends and family will miss his hugs and humor which he shared abundantly. Visitation will be 6:00 – 8:00 p.m. Thursday October 18, 2018 at Greenlawn Funeral Home East. Graveside Services will be 9:00 a.m. at Missouri Veterans Cemetery. To plant a tree in memory of James Ray "Jim" Greer, please visit our Heartfelt Sympathies Store. We encourage you to share any memorable photos or stories about James. All tributes placed on and purchased through this memorial website will remain on in perpetuity for future generations.